If you eat food, then you like bees. It's estimated that one-third of the typical American diet depends on pollination by bees, and absent such pollination, nearly 100 fruit and vegetable crops would be wiped out. We wouldn't be entirely without food, but we wouldn't have almonds, apples, blueberries or grass-fed beef or dairy. Our future would be very brown: carbohydrate-rich diets for everyone, as grains are mostly wind-pollinated crops. And not incidentally, the U.S. economy would lose $15 billion annually, while the global economy would be out $100 billion a year. What's killing our bees seems to change every year or so. Troubles began in 1987, when the main culprit was apparently the Varroa mites that had just come to the United States, but in 1998, small hive beetles were a threat as well. In 2004, imported Australian honey bees brought with them Israeli acute paralysis virus. Then in 2006, we saw a bizarre phenomenon called colony collapse disorder (CCD), which caused honey bees to vanish, seemingly into thin air. The public concern that CCD generated was enormously gratifying to researchers like me, since it built support for our work on how to help honey bees survive. We homed in on three leading hypotheses for what might be causing the phenomenon: chemicals, including pesticides, fungicides and herbicides; bee diseases, including fungi, bacteria, viruses and mites; and habitat loss, for which the remedy might have been to plant more flowers. But in 2011, CCD ended as mysteriously as it began, so we never got any further than that. Bees continued to die en masse. The only difference was that once again, as before the CCD era, we could study their bodies to determine why. The latest killer is the fungus Nosema ceranae, which in 2013 was omnipresent in all 200 hives that my laboratory sampled, and it is ruthless. Whole colonies are still dying off. Between 30 and 40 percent of hives succumb each year, with higher rates in areas with harsh winters. In Massachusetts, the winter of 2013-14 killed off 80 percent of all beehives, and some towns, such as Concord, experienced a total loss. Then in 2014-15, 42 percent of hives were lost nationwide, the second highest death report on record. These statistics are especially alarming given that beehives should live in perpetuity, with the queen replacing worker bees by laying 1,000 or more eggs each day, and the workers replacing the queen every three to five years, as needed. Current rates of hive losses are not sustainable. Fortunately, at least one crucial part of the solution is clear: urban beekeeping. Counterintuitive as it may seem, data from the greater Boston area show that bees actually do better in the city. On average, honey production, a strong indicator of colony health, is greater among bees in Boston, Cambridge and Somerville than among those in the countryside. The city bees also survive the winter at higher rates, and they were rarely, if ever, affected by CCD—that scourge mainly hit hives that were trucked between rural farms. What is it about urban habitats that nurtures bees? Perhaps cities have fewer pesticides, so what humans regard as a polluted setting is to bees a pristine sanctuary. Perhaps increased nutrition from the diverse pollen and nectar sources in our community gardens helps fight off bee diseases. After all, a varied diet is associated with a robust immune system in bees. Or perhaps something entirely different is responsible for the bees' well-being. Just as we don't always know what's killing bees, we don't always know what's saving them. The important thing is simply to realize that bees do well in cities, and that it's therefore the job of all of us—scientists, activists, citizens, government officials and businesses alike—to help create homes for more of them there. And that is starting to happen. Policymakers all over the country have succeeded in reversing decades-old prohibitions on urban beekeeping. Many cities are taking advantage of the more permissive laws. Seattle residents have been allowed to keep bees since 2008, and the Seattle-Tacoma Airport has a beekeeping program on site. In New York City, which legalized beekeeping in 2010, the island of Manhattan has become a pollinator haven, with hives at such places as the Waldorf Astoria Hotel, the Whitney Museum of American Art and the Intercontinental Hotel in Times Square. 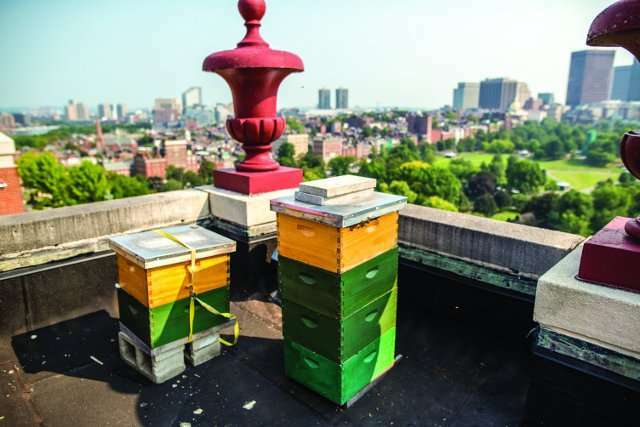 Boston, where urban beekeeping was legalized in 2014, became home to hives at the Four Seasons Hotel, the Prudential Center, the Museum of Science and Atlantic Wharf, among other sites. Boston public schools have multiple classrooms with permanent beehives for hands-on learning. Hives have come to Chicago City Hall. And in Washington, D.C., beehives now thrive on the White House grounds, in accord with President Obama's 2014 memorandum "Creating a Federal Strategy to Promote the Health of Honey Bees and Other Pollinators." Bees in all these settings are flourishing. Even so, a great deal of work remains to be done. 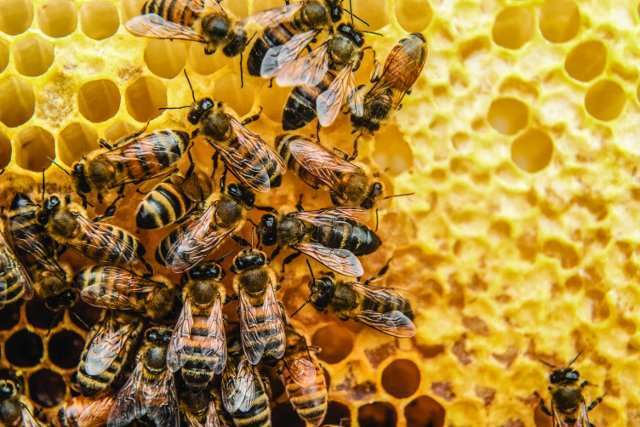 Consider Los Angeles, where city councilors Katie Peterson and José Huizar, among others, are still working to legalize beekeeping. Los Angeles is the only major U.S. city in which beekeepers must operate under the radar. Its "bee kill policy" dates from 1879, a time when people believed that bees attacked fruit crops. Even though we now understand pollination, and know that more bees actually lead to more fruits and vegetables, the law still requires Angelinos to kill hives on sight. For city dwellers interested in keeping bees, there are three ways to go: offering space to an existing beekeeper, learning how to maintain hives themselves through a beekeeping school or hiring a beekeeping service to do the job for them. Whichever option they choose, they should know that each beehive requires a footprint of about two by three feet and that beekeepers work year-round, building hives by hand over the winter, populating them with bees in the spring, and checking inside the hives every few weeks through the summer and fall, until the end of the honey harvest. Urban beekeepers also need to create a flight path—a "highway in the sky" that connects the hive with whatever flowers are in bloom. Beekeepers can optimize a flight path with thoughtful plantings, fencing or a hive entrance that points up and away from where people are. For businesses, beekeeping can be an excellent way to boost their brand, shining a light on their commitment to the environment. For example, hotels hoping to distinguish themselves with green initiatives may find that having an herb garden on the rooftop or asking guests to reuse their towels may not be enough these days. Beekeeping is a sensible next step. Indeed, momentum has built throughout the global hospitality industry. Fairmont Hotels & Resorts rolled out beekeeping programs at more than 20 sites worldwide in 2008, quickly followed by InterContinental Hotels. Starwood Hotels & Resorts began beekeeping this year, kicking off at the Sheraton New Orleans and showcasing the program worldwide. Commercial real estate companies have been getting on board as well, embracing urban beekeeping as a corporate sustainability initiative. Boston Properties rolled out a regional program in New England in 2014. 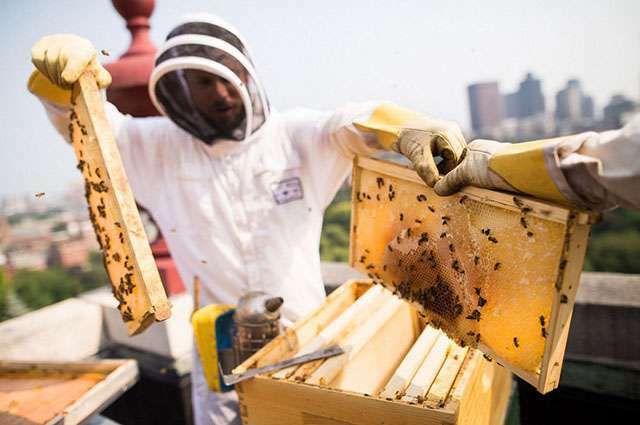 And Beacon Capital Partners has started a national beekeeping program that supports dozens of hives at high-rises in Boston, New York, Washington, D.C., Chicago, Denver, Seattle, San Francisco, New Orleans and other cities. But urban beekeeping isn't just a green issue. It's also a social justice issue. Keeping bees in cities means that these pollinators stay there, boosting production of local and affordable fruits and vegetables for all residents. The dollars that city dwellers spend on such produce remain in the community, too. That could help ensure a good quality of life for generations to come. The urban environment of the future will inevitably be a dense world, where the human population continues to grow yet available land remains constant. If we are to feed people well, cities will have to become smarter, growing upward instead of outward. We'll need to establish green spaces and farmland on rooftops and at other levels of buildings. And policymakers will have to establish laws that are friendly to urban hives, acknowledging that the success of this future world depends on an abundance of healthy bees.